Let’s say you wanted to take an alternative to the 5.56 for a AR 15 or similar rifle. You have some choices, actually lots of options, but you are a discerning customer. We’ll break down some of the pros and cons and give you a hard look at one of our favorite AR-15 based cartridges, the 6.8 SPC. If you asked me to sell you an alternative cartridge without telling me what exactly you planned to do with it, I’d probably choose the 6.8 SPC. My selling points would be based on its development. The 6.8 SPC came to be when the 5th Special Forces group was looking for something that outperformed the 5.56 in combat roles. This need led to a partnership between Remington and the Army’s Marksmanship unit. That was Remington’s heyday, well before recalls and bankruptcy was making the headlines. In case you don’t know, the U.S. Army’s Marksmanship Unit is a competitive unit that never seems to stop winning. It’s made of the best shooters the Army has to offer. Outside of beating the Commies in the 1964 Summer Olympics, they also have a long history of helping develop and test weaponry that may be pushed to the Army. When a significant firearms manufacturer teams up with the USAMU, you know good things are bound to come. The 6.8 SPC was the result of this partnership. What is the 6.8 SPC? The 6.8 SPC, also known as the 6.8mm Remington SPC, is an intermediate rifle round designed to outperform the 5.56. 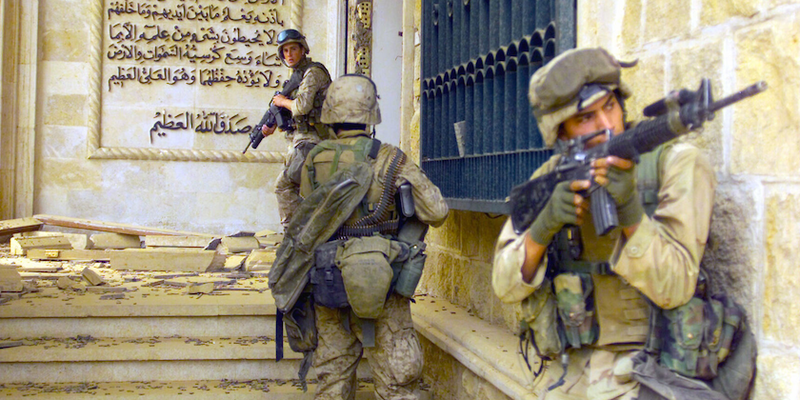 This is especially true when it came to close quarters use, the 5.56 was underperforming in the close range firefights that were common in the urban combat in Iraq. It was also designed to function in the AR-15 family of rifles with the end goal being a minor loss of magazine capacity and minimal increase in recoil. There are some reports that the bullet was used overseas, but details on who used it, and how exactly it was successful are scant. 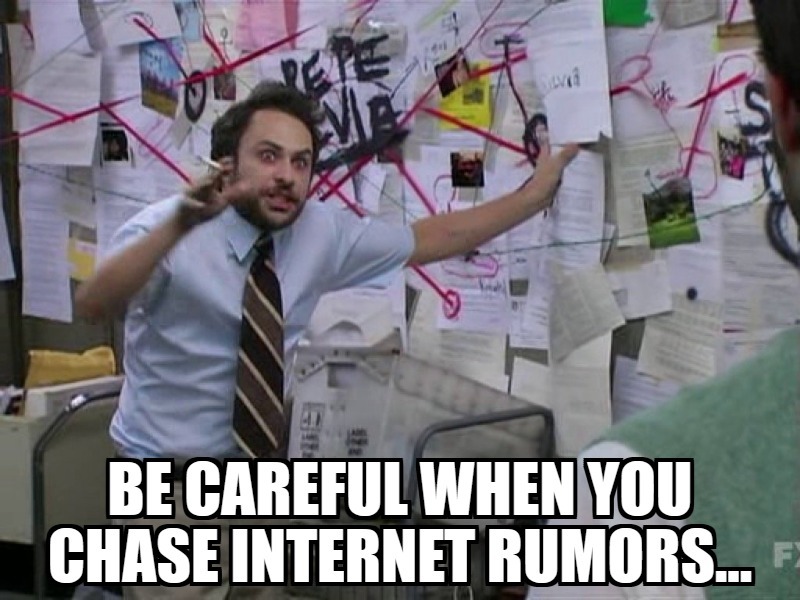 I chased internet rumors and could find vague mentions of special forces use. While ultimately successful in its goal, the 6.8 SPC was never adopted on a wide scale. Some advantages for AR owners is the fact the 6.8 SPC will work with a lot of common AR parts. This includes lowers, triggers, buffers, stocks, handguards, etc. The biggest swap will be the upper, bolt, and magazines. 6.8 SPC mags are quite standard, and most large manufacturers make 6.8 SPC uppers. It can be as simple as swapping mags and a complete upper to take your 5.56 AR to a 6.8 SPC AR. 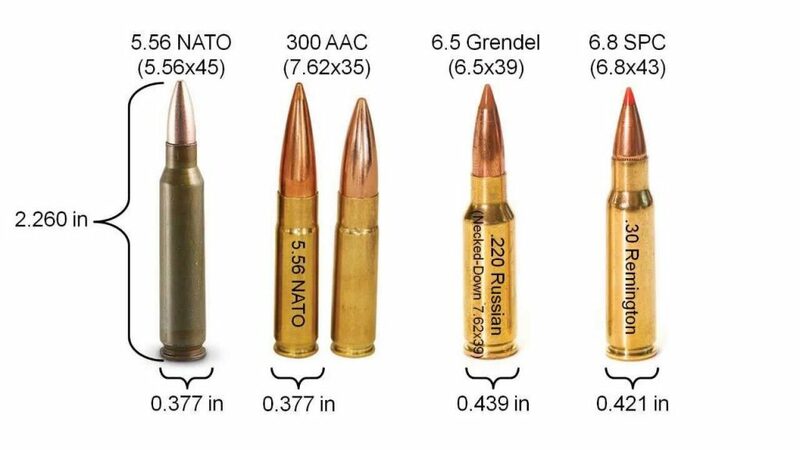 That being said the round is ballistically superior to the 5.56 regarding energy relative to bullet weight. The 6.8 SPC delivers 44% more power than the 5.56 on average. It’s also a better performer from short barrels. The 223, which the 5.56 is based off, is designed for 20-inch barrels. 20-inch barrels aren’t exactly popular options for close quarter fighting. Once you start chopping barrel length down, you start killing ballistic performance. The 6.8 SPC does quite well from shorter barrels and retains more energy than the 5.56 when fired from a shorter barrel. You won’t get the same SBR performance like the 300 Blackout, but the 300 Blackout won’t give you the long range performance the 6.8 offers. What you’re looking at is a bit of a jack of all trades in term of performance. It doesn’t excel in long-range shooting, or CQB, but does well in both. It’s like a student who gets Cs in every subject versus students who only get an A in one subject. 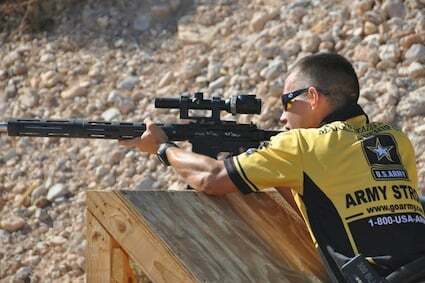 The most common platform that uses the 6.8 SPC is the AR 15. That is what the round was designed for, and where you’ll find the most options for rifles, pistols, and SBRs. That being said the round has seen itself on several different platforms. Ruger produced some Mini 14s in 6.8 SPC. Although they have been discontinued by Ruger, they are still familiar enough to pop up on the used market here and there. Remington produces a Model 700 in 6.8 SPC. The 700 is their flagship bolt action rifle that’s popular among hunters and in law enforcement and military use. Lastly, the Remington ACR has a 6.8 SPC model, but they are rare and can cost upwards of two grand depending on options. The 6.8 SPC is a robust little round that can be used for a variety of different tasks. We are going to break down the 6.8 SPC by use and give you a few ammo options for each role. Since the 6.8 SPC is such a versatile round, we’ll pair purpose built cartridges with their actual use. The 6.8 SPC is a surprisingly popular hunting cartridge. Its been a popular alternative for AR hunters in states that prohibit the 5.56/223 as a hunting round. It also offers a little more oomph and power for more massive game as well. Amazing for mid-sized, thin hide game such as deer – the Federal Fusion round. This round was designed for modern sporting rifles like the AR 15. As AR 15s become more popular as hunting weapons, we are seeing more manufacturers produce ammunition for it. The Federal Fusion 6.8 SPC round is a 115 grain round optimized for medium game like whitetail deer. This uses the Fusion projectile which is an expanding round that uses an electrochemical process to join the core to the copper jacket. This reportedly eliminates the issue with the core separating from the jacket. The most significant benefit of the Fusion projectile is weight retention. The more weight the round retains, the better it will penetrate as it expands. The Fusion round features a skived tip that allows it to expand regardless of the range its used it. If you’re new to deer hunting, you’ll be interested to read our Introduction to Deer Hunting. The second round is the Hornady Full Boar load. If you can’t tell by the name this load is designed for those pesky pigs. These are one piece, monolithic copper alloy projectiles that are topped with a polymer tip. Beneath the polymer tip is a cavity that encourages the round to expand upon contact. The monolithic design means weight retention and penetration is fantastic. These are called GMX projectiles, and they have a long history of proven performance. Hogs are tough critters, and they need a round that can dig through their tough hide, firm skin, and reach those vital internal organs. 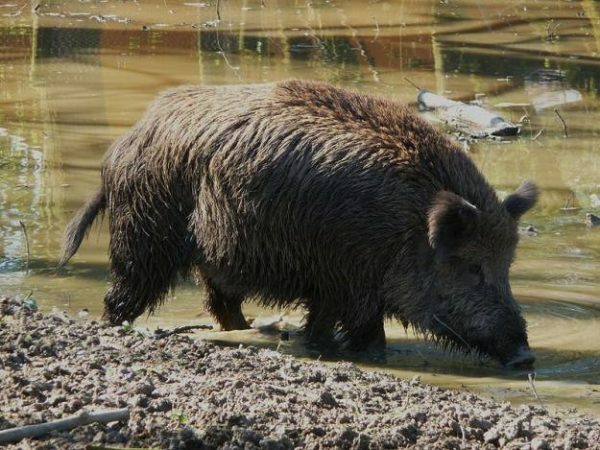 The GMX and the Hornady Full Boar is that round. 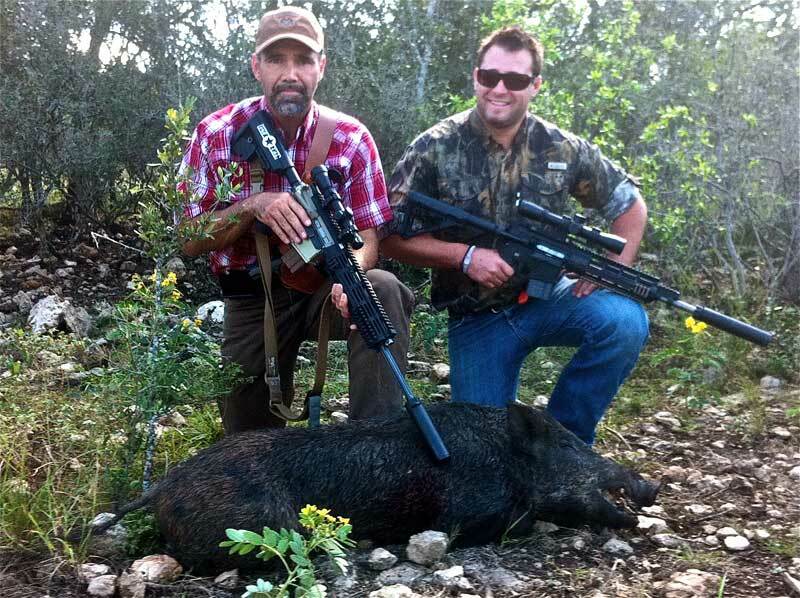 If you do your part with the marksmanship fundamentals, you’ll have no issues putting down a wild pig humanely and quickly. Lastly, we have the Hornady Black V-Max ammunition. The AR 15 is used for a variety of game hunting, and it does well for varmint hunting. As someone who lives in the middle of nowhere, I despise coyotes. Filthy creatures who sometimes need a dose of lead. If I were hunting coyotes, I’d use the Hornady Black. As much as I despise them, I don’t want them to suffer. So I’ll hit them with a practical, light recoiling round. The Black line of ammo is designed for semi-auto rifles, but of course, has no issues with bolt guns. The ammo is tipped with the V-Max projectile which includes a polymer tip covering a cavity. The polymer tip beats drag but get out of the way once the round hits a target. The round expands and destroys tissue along the way. This allows me to put coyotes in their place without causing any unnecessary suffering. The round expands and tumbles, cutting through vital organs and shutting the body down immediately. The round is 110 grains, which is more substantial than it needs to be. However, it will stabilize in your most common 6.8 SPC barrel twists. The AR platform is an outstanding home defense weapon, and the 6.8 SPC is perfect for close quarters fighting. In a pistol or SBR, you are going to get some solid ballistic performance. That being said you need to pair it with the right round for quick threat elimination. The Hornady Custom 6.8 SPC is an excellent go-to home defense round. It’s a 120-grain projectile that uses Hornady’s famed Super Shock tip to ensure quick and effective expansion. A home defense round needs to expand. The last thing you want is your round to zip right through an attacker. This means less internal damage is done, and the round could carry the energy to harm someone else. An expanding bullet is much less likely to over penetrate an opponent. The round also needs to be reliable. I never skimp on self-defense rounds and you shouldn’t either. The Hornady Custom sports match grade components that not only aid in accuracy but reliable function. Hearing a click when you should hear a bang is less than optimal. The Hornady Custom is a reliable, robust, and effective round for all your home defense needs. You can see all of our Ammo Review and Recommendations to find that Hornady is one of the best we’ve found across a wide range of applications and calibers. Who doesn’t love to shoot a gun? Shoot it fast, or shoot it straight, or train to be better at your chosen goal? As much as we like to talk tactics, ballistic performance and all that jive the majority of people shoot to shoot. Turning money into noise is my favorite hobby. Hell, I write to do just that. Training and plinking is a high volume activity, so you’ll need affordable ammo. For that, we are going to go to the simple, but always reliable Remington UMC. These full metal jacket rounds are brass cased and boxer primed. They are affordable, but reliable and of course safe to use. These are 115-grain rounds that deliver mild recoil and are perfect if you are a reloader. Reusing the brass cases can help you save a little money if you have the reloading set up to do so. Remington UMC is a staple of range ammunition and it;’s perfect for those who don’t don’t to be thing ka-ching when they hear booms. The 6.8 SPC may never have the success of the 5.56/223, but it’s a round that’s held its own. It could’ve taken the route to obscurity, but it keeps kicking. As ammo technology improves, I’m betting we’ll see the 6.8 SPC continue to grow. Is it for everyone? No, but nothing is. For an AR owner, it’s a cheap way to get into a new caliber that gives a little more oomph and little more bang than 5.56. I give it 4.5 stars. Do you have a 6.8 SPC AR-15? What do you use it for? How does it shoot? Tell us all about it in the comments! Want more of a choice…check out our Best Alternative AR-15 Cartridges. O have ruger 556 and looking to buy a 6.8 spc for deer and hogs.I am looking at a complete upper from Sanders armory in the Hunter series.I am new at this,is this a good choice ? I have to ask how it compares to its child the .224 Valkyrie. It’s clearly better at close range but where does the trade off overlap? 600yards?